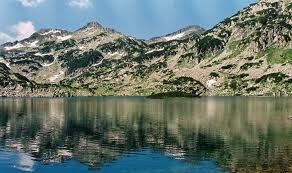 Pirin National Park in the Pirin Mountains in southwest Bulgaria is a UNESCO World Heritage site. 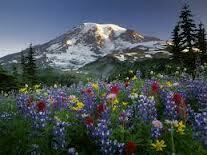 It has limestone mountain landscapes including glacial lakes, waterfalls, caves and coniferous forests. Trees in the forests are Macedonian pine and Endemic Bossnian pine some of which are over 500 years old. There are also a mix of Austrian pine, spruce, Scots pine and beech trees. Within the national park are over 182 species of medicinal plants and lots of moss, lichen and algae. Lots of animal species to observe including brown bear, grey wolf, pine marten, rock marten, polecat, badger, otter, wild cat, red and roe deer, wild boar, Balkan chamois, and among the bird species are the golden eagle, capercaillie, hazel grouse, eagle owl, black woodpecker, and three-toed woodpecker. Pirin National Park is divided up into regions: Sinanitsa, Bayuvki, Vihren, Bezbog, and Kamenitsa which includes the Three River region. In Sinanitsa there are two tourist destinations. The brown marker route heads from the Madrat base to the Sipanitsa Shelter and the yellow marker route goes from Mandrat base to the Black Water base. At the Mandrat base visitors can find an information center. There is the International hikers’ route E 4 which goes from the Pyrennees through the Alps before crossing over Bulgaria’s Rila Pirin ranges and ending up in the Peloponnese. There are several trails to take and in Razlog one can find the park information center and the Museum of History. 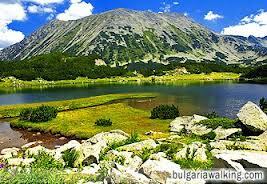 The Vihren region of the national park includes the city of Bansko. Vihren Peak is the highest point in the Pirin Mountains. This peak is among Bulgaria’s prime tourist destinations and one can get a stamp confirming ascent of the peak at the Vihren Shelter. In this region of the park grows Bulgaria’s oldest tree the Baykusheva Fir and it is over 1,300 years old. In the Bezbog region visitors will find the Yulken Reserve which is notable for the Polezhan Peak and the Polezhan circus of lakes. There are 35 forest trail going through the Kamenitsa Reserve all marked with different color markers. Throughout Pirin National Park are eight larger shelters and four hikers’ huts. The main information center is located in Bansko and has an interactive exhibit about the park’s forests with 22 modules which let visitors learn interesting facts about the trees, animals and vegetation. In a 30 seat projection room with multimedia equipment and a large screen visitors can choose from 150 entertaining and informative films about the national park. The center also offer lectures and offers a range of classes for both younger visitors and adults.